I’m always looking for the best way to give my family the best things in life. One way I work toward this goal is by feeding them the very best snacks I can find. I’m a mom with three kids under the age of five and am due to welcome our fourth child in November. If your kids are anything like mine they are constantly looking for a snack. I’ve been lucky enough to find some great options from Pure Growth® Organic and Happy Family® and I’m very excited to share them with you. Toddlers are strange little creatures, liking something one day and the next declaring it to be “gross.” This can make finding the perfect snack hard. 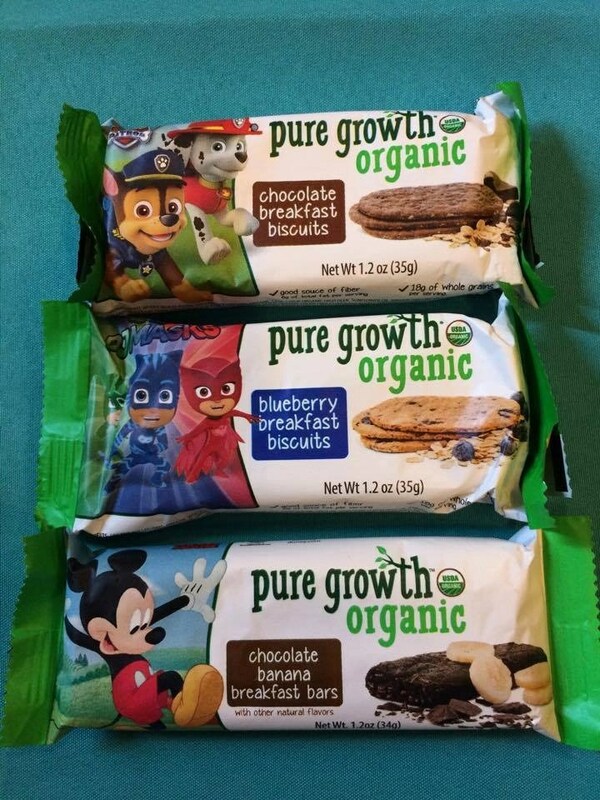 Pure Growth® Organic snacks are one that is currently a hit with my little ones. If a product has one of my kids’ favorite cartoon characters on it I think it makes them more likely to eat it. 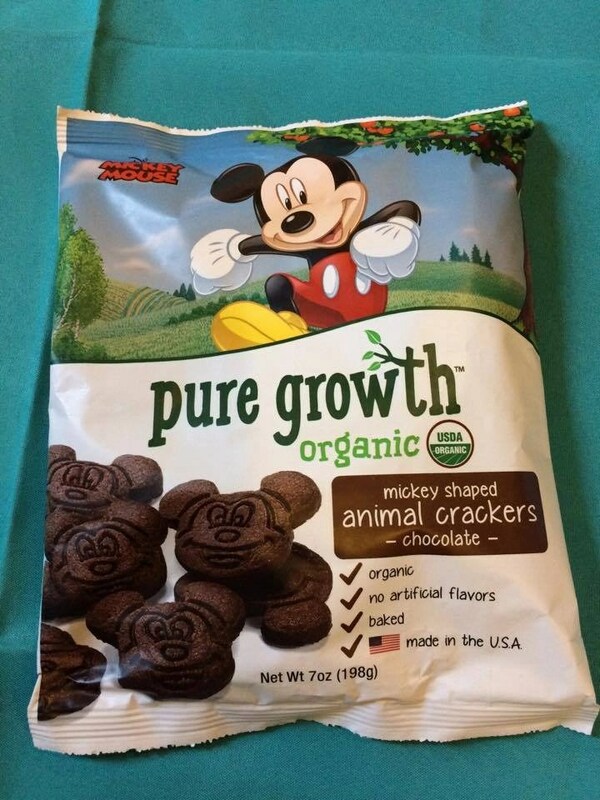 Many Pure Growth® Organic snacks come with your child’s favorite face on the package from Mickey Mouse, to Paw Patrol, to P.J. Mask. My kids had an absolute fit when they saw these snacks and my son instantly insisted on getting his hands on the white cheddar popcorn with Mickey on it. The popcorn is organic, gluten-free and is made in the USA. It’s a snack that I feel good giving him and that he truly loves to eat. Another favorite is the Mickey Shaped Animal Crackers. My older girls love the chocolate crackers and I love the fact that they are healthy, so it’s a win-win all around. They even have some tasty treats for adults, like their Veggie Chips and new Oatmeal Bites which are great for me to hide in my desk upstairs to snack on while I’m working. 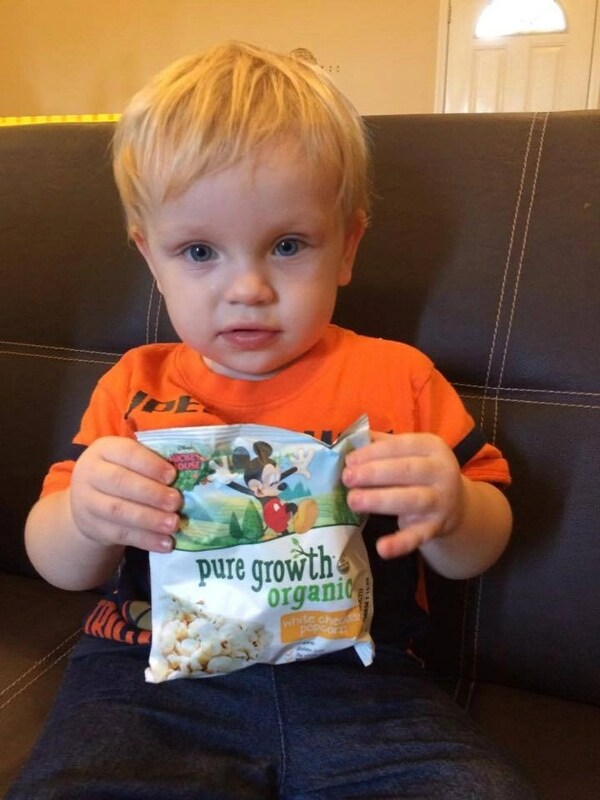 All of Pure Growth’s products are organic and great for all ages. 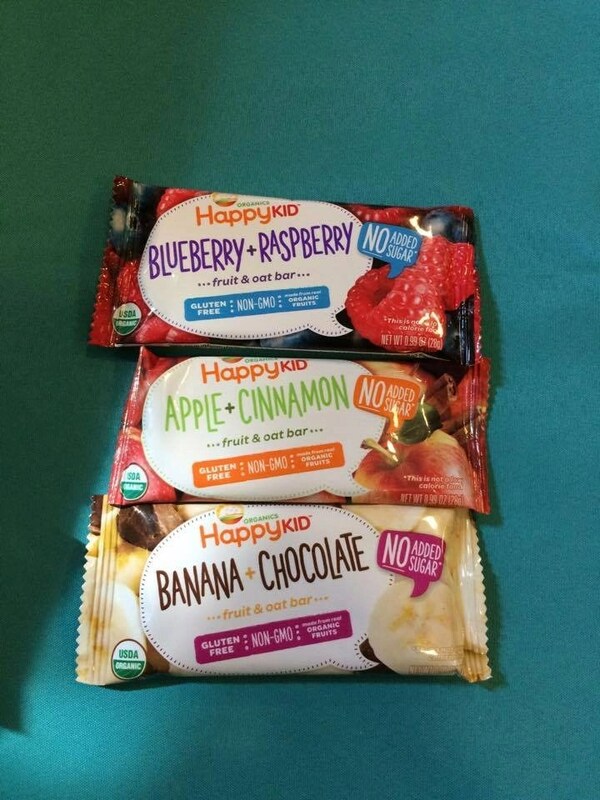 Other great items to give a try are Happy Tot® and Happy Kid® by Happy Family®. Happy Kid® has some great products for your growing new eaters. My youngest is 21-month-old right now and I’m always trying to introduce new foods and snacks into his diet. The oat bars are a favorite here, his favorite one is the Apple + Cinnamon Fruit and Oat Bar. These are great little snacks for on-the-go and fit right into the diaper bag so we don’t have to worry about the kids getting hungry while away from home. They are perfect for snacking no matter where your day takes you whether vegging out at home, running errands in town, or traveling. The Banana + Chocolate Fruit and Oat Bar are a close second favorite. I mean, chocolate, need I say more? 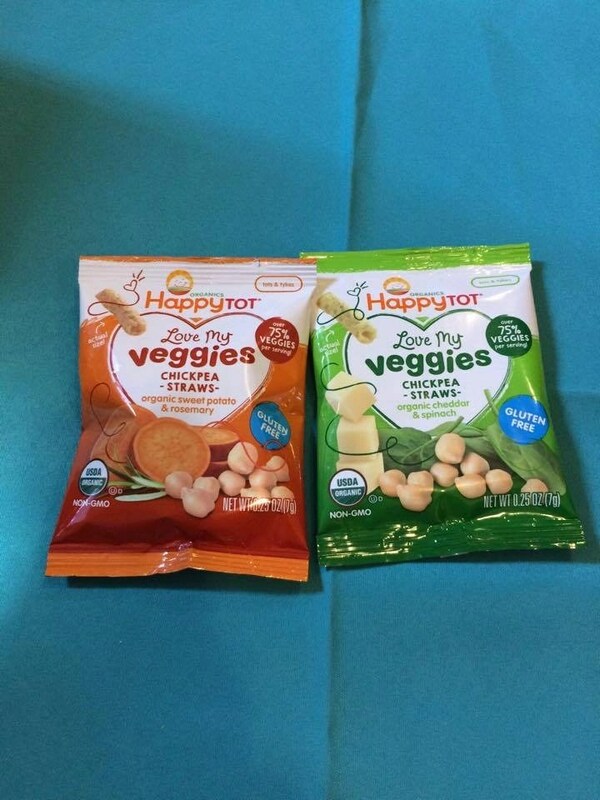 Happy Tot® Love My Veggies Chickpea Straws are a yet another variety of snack to add to your pantry option that kids will love. They are certified USDA organic, gluten-free, non-GMO and have no known allergens in them. Most importantly they have a crunch all kids love, which will make them easy to work into snack time. Flavors available include Organic Sweet Potato & Rosemary and Organic Cheddar & Spinach. These are so different from other snacks I’ve found in stores in recent months that I couldn’t wait to see how my kids took to them. This would make a great alternative to replace potato chips as a healthier eating option. Like the fruit and oat bars, these are great snacks to take on-the-go, as well. I’m so excited to share these snacks with you and hope you can find something that works great with your family. 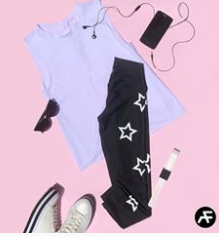 Interested in finding them close to you? 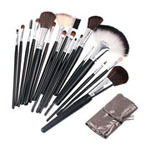 You can find them online, at Walmart and in select Target stores. Now, I don’t know about you but one thing we struggle with is finding a good way to transport snacks without spilling them everywhere. Well, Snack in the Box has finally found an answer to your dilemma, with a two container box that keeps snacks closed away, to keep the dirt out and yummy snacks in. The design is great for little hands and is easy to open. This fits right in the diaper bag or a backpack and keeps kiddos happy when they need a snack. With 4 kids, I am always juggling! Now, I no longer need to worry about snacks spilling. I just fill up the containers and hand them to my kids. Be sure to also visit them on Facebook or Instagram. Which snack option do you think your little people would love to try? I’ve been switching to organic options for virtually everything lately and it’s wonderful how many options there are now. These look so good! I still love animal crackers! The chickpea veggie straws sound really interesting, Toddler diets can be difficult to follow. I like some healthy snacks, however, many don’t taste that great. I have heard good things about these so I may try them. These look and sound great. These would be perfect for my nieces. They are the biggest snackers and I would love for them to be able to snack and get healthier products and ingredients while snacking! I like for the kids to eat healthy. These would be great for after school snack. These look good for kids. These look yummy, I’ll have to try some for my daughter. These all look really good. I think we would like the breakfast bars!